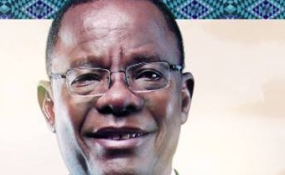 Cameroon opposition leader Maurice Kamto shared this message after the October presidential elections: My dear compatriots, Let me express my heartfelt gratitude to the many Cameroonians who decided to cast their votes to my humble person at the presidential poll of October 7, 2018, making me President elect in this historic election. To those who did not vote me, I respect your choice and express my Republican fraternity. Maurice Kamto and other MRC opposition figures have been arrested over protests challenging October's election. The MRC accused President Biya of trying to "decapitate" the opposition. A Cameroonian opposition leader and several officials from his party have been arrested in the latest political turbulence to shake the Central African country. Maurice Kamto, the leader of the Cameroon Renaissance Movement (MRC), was arrested Monday night at another politician's home in the country's economic capital Douala following weekend protests against President Paul Biya. MRC's treasurer Alain Fogue, Kamto's adviser, Albert Dzongang, and MRC human rights secretary, Celestin Djamen, were also arrested and were being detained in the capital, Yaounde. Kamto claims to have won last October's election, which saw the 85-year-old Biya secure a seventh consecutive term. The MRC "strongly condemns these unjustified and announced political arrests, whose hidden aim is to decapitate the MRC and Maurice Kamto's winning coalition," the party's vice president Emmanuel Simh said in a statement. Biya was declared the winner of the election with 71 percent of the vote, while Kamto received 14 percent. The election was marred by low turnout and allegations of fraud. Kamto's party has held sporadic and often deadly anti-government protests since then to dispute the results and Biya's 36-year rule. Over the weekend, 117 people were arrested and several injured in protests the government says are intended to destabilize the country. Among those arrested were Kamto's former election campaign head Paul-Eric Kingue and rapper Valsero. The protests also spread to Europe, where protesters on Saturday briefly occupied the Cameroon embassies in Paris and Berlin. Minister of Territorial Administration Paul Atanga Nji, who is responsible for licensing political parties, has threatened to ban the MRC for failing to respect Cameroon laws. "The MRC political party and its leadership have been very notorious in the disruption of public order since presidential elections were held in Cameroon," he said. The former French colony has been struggling with a secessionist uprising in the English-speaking Northwest and Southwest Regions since 2016. Hundreds have died in the conflict driven by what the Anglophone region says is discrimination by the government. The Cameroonian army is also battling Boko Haram militants on the northern border alongside security forces from Nigeria, Niger and Chad. The 8-year conflict with the extremist Islamist group has killed more than 20,000 people and displaced 2.4 million more across the region.